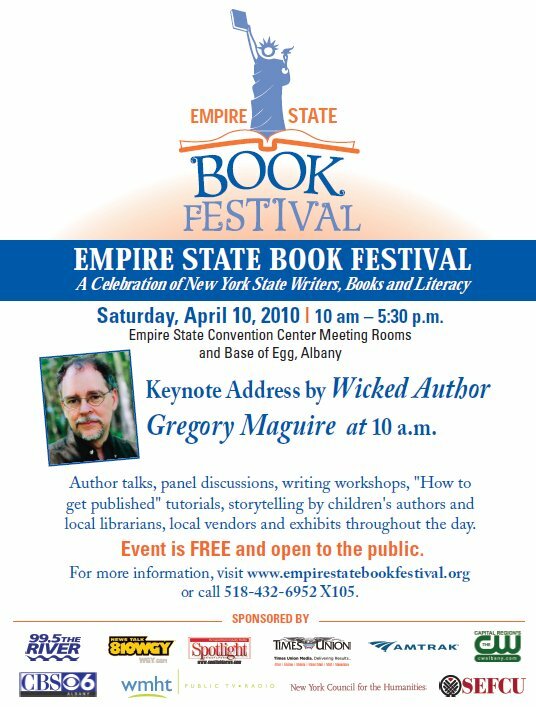 I’ll be doing a panel discussion and a signing at this Saturday’s Empire State Book Festival, held at the Empire State Plaza in Albany, NY. It’s the first event of its kind, and boasts dozens of authors, including the likes of Gregory Maguire and Mary Gordon, for programs and signings. There will also be numerous publishers and book sellers setting up as exhibitors for the event, which was organized by the New York State Library Association. Best of all, it’s completely free. I’ll be doing a panel on graphic novels from 11:45 a.m. to 12:30 p.m., along with my buddy Matthew Dow Smith, Jerry Craft and Barbara Slate. Then from 12:15 p.m. to 1:30 p.m., both Matt and I will be signing in the Meet & Greet area. A book seller will be on hand with copies for sale. 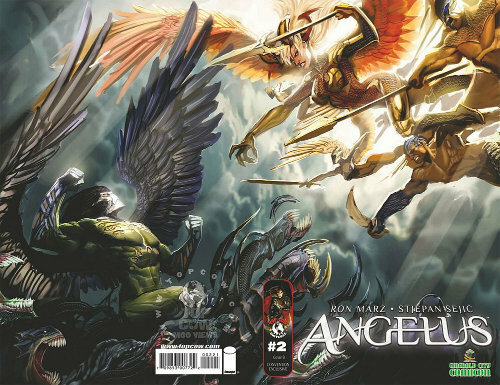 I believe they’re bringing in volumes of Witchblade, First Born, Broken Trinity and Samurai: Heaven and Earth, and I should have some promotional comics and goodies to give away as well. Check out the official website for a complete listing of authors, events and the full schedule. Organizers are hoping for a first-year attendance of 5,000. Hope you’re one of them.